Happy Friday everyone! I hope you’ve had a fab week. 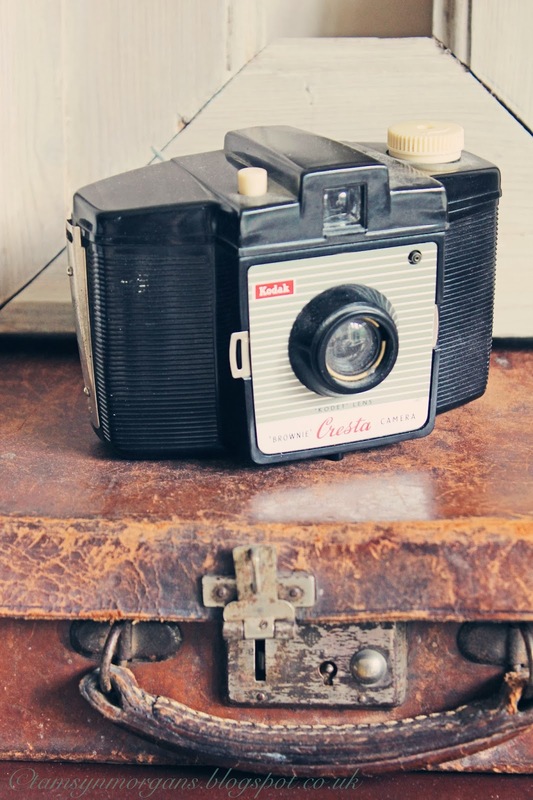 For the second part of Masculine Vintage Style post, I wanted to show you how collections of vintage objects can be displayed en masse. 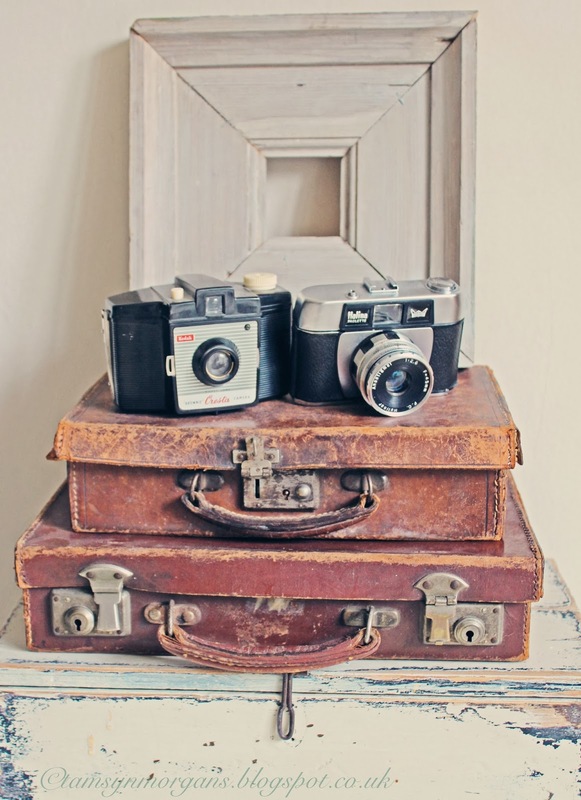 If you’re passionate about photography, why not collect vintage cameras and have them out on display? As you all probably know by now, I adore vintage teacups, and display my mismatched and slightly chipped collection with pride in a glass cabinet. 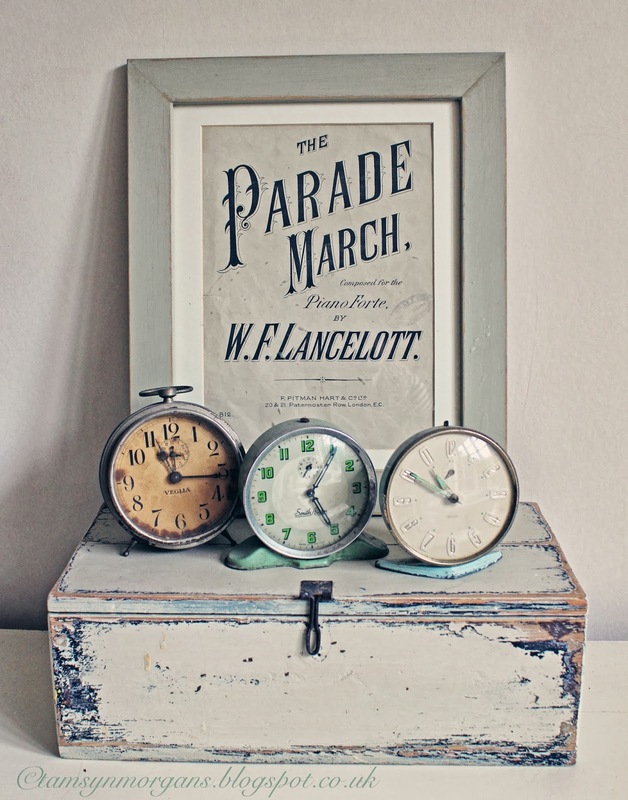 I’ve also gathered a collection of vintage clocks cheaply from car boot fairs, which have a cool retro look when displayed in a line. The top picture is a favourite of mine, a little still life of random rusty items I’ve salvaged from the bottom of boxes at car boot and antique fairs. Hunt for old metal toys, cars and games for a hit of nostalgia, displayed on shelves or sideboards. Remember it doesn’t matter if they’re not in perfect condition – the more patina they have, the more it adds to their charm. 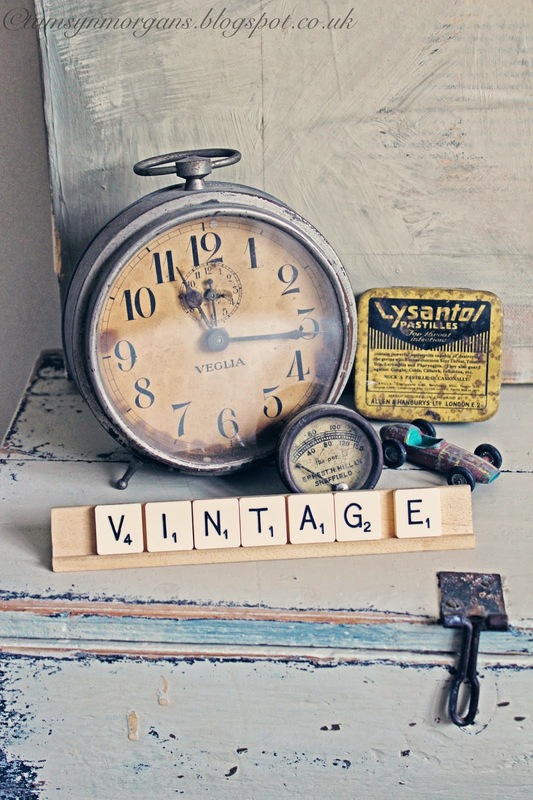 Each vintage item has it’s own story to tell. Old graphic prints, posters or vintage maps look amazing in simple black frames. Or if you’re a film buff, how about retro movie posters – I think this James Bond Dr No poster is very cool, cheap as chips and would look fab framed. In fact, there are lots of amazing posters on that site, this Steve McQueen Bullitt poster would work well mounted above a battered brown leather sofa. I’m in love with retro neon signs, and think they would look just as amazing in a very minimalist setting as well as in a more vintage, shabby chic interior space. Take a look at God’s Own Junk Yard which sells the most incredible neon signs that have been used in movies and fashion shoots, as well as salvaged vintage signs and movie props. Here’s my Pinterest board dedicated to my love of neon signs. Of course, if you live in the sort of New York open plan loft apartment that most of us can only dream of and money is no object, you would have to get your hands on one of these jukeboxes for the perfect finishing touch! If you missed it last week, here’s my Masculine Vintage Style inspiration board for lots more fab styling and interior ideas. I do agree with you. Neon Signage plays great role to deliver a large scale audience than using any other medium. Its easy to use and not very expensive.